Description: Jean Barillet followed in the footsteps of his father Louis Barillet (1880-1948), who had a stained glass studio in Paris. 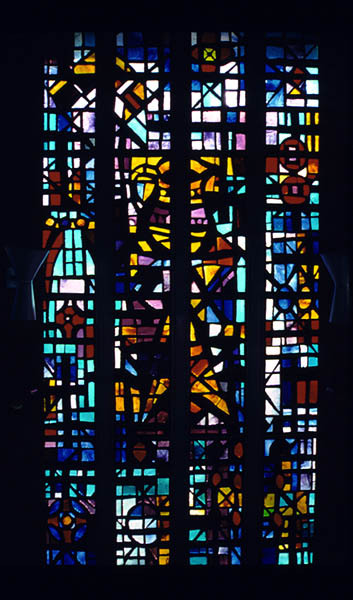 Louis was very influential in the evolution of contemporary stained glass in France as early as 1920, and a book has been published (in France) about his endeavors. 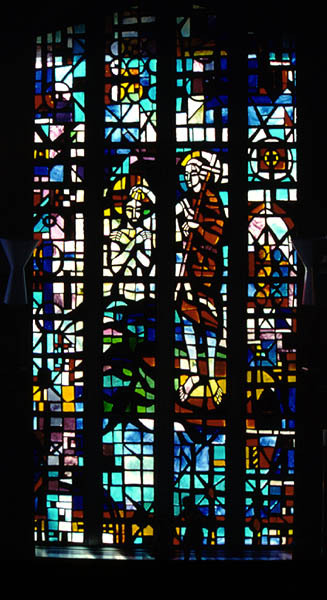 Jean probably grew up assisting in the studio with simple tasks, but when he became an adult and more of a partner in the studio, the studio was selected by the French Commission of Historical Monuments to restore World War II damaged stained glass windows in Saint Chapelle and the Cathedral of Notre Dame in Paris, and the Cathedral of Beauvais. 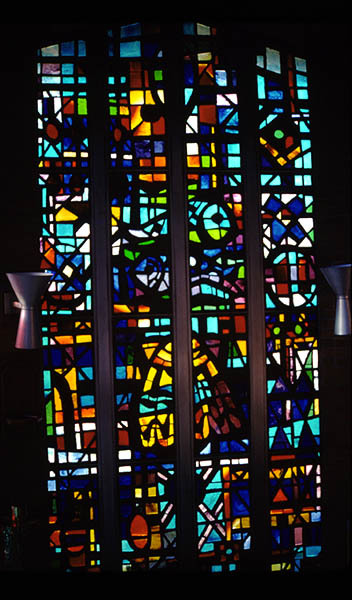 The influence of his father's involvement in the progression of contemporary stained glass and his association with some of the burgeoning artists in the field made Jean aware of the times in which he was growing up. 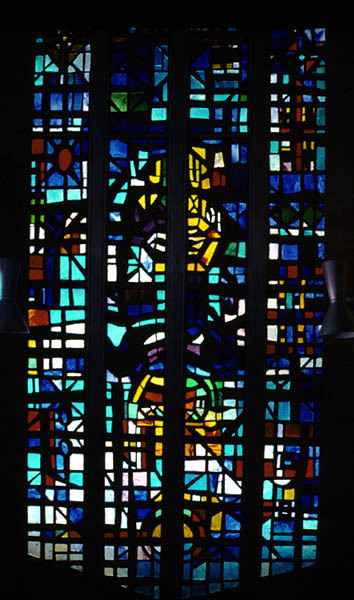 As he became more involved in his father's studio, the studio began to fabricate windows for other French artists working in the new contemporary style. In the European system, the artist does not build the windows, but will carefully supervise glass selection and any additive treatments, such as painting or etching, all the way through the final output.